Gina Catanzarite is an award-winning television producer, writer, teacher, and media consultant who has worked both nationally and locally in her fields since 1987. Currently, Catanzarite operates her company, Arania Productions, in Pittsburgh, Pennsylvania. She counts seven Emmy awards, twenty Emmy nominations, a Matrix award, two Pennsylvania Association of Broadcasters Awards, five Telly Awards, and a screenwriting grant from the Theatre Association of Pennsylvania, among her many professional honors. National television credits include Making a Difference, a one-hour documentary exploring mathematics reform, hosted by actor Danny Glover, which aired nationally on PBS in 1998; Lucille’s Car Care Clinic, a 52-episode series for Home and Garden Television (HGTV); Jane Nugent’s Garden Party, a 24-episode series for Home and Garden Television; and John Updike: In His Own Words, a one-hour production based on personal interviews and writing workshops conducted by Updike. Broadcast credits include a 3-part series titled Project Hope, which was nominated for a National Emmy award, and received a Matrix award. Additional credits include the 2013 Telly-award winning and Emmy-nominated documentary Global Leaders: The Next Generation; the 2012 Mid-Atlantic Emmy and Telly-Award winning environmental documentary The Race to Save Pennsylvania’s Bats; the regional Emmy award-winning television series Teens ON Q, a half-hour magazine format program focusing on teen social issues; Live Well/ Live Long with Eleanor Schano for WTAE TV, for which she served as Executive Producer; the regional Emmy award-winning BrainFood, a half-hour program teaching math and science principles to a middle-school audience; the regional Emmy-award winning talk special Facing Welfare Reform for WQED and the Pennsylvania Public Television Network; the regional Emmy award-winning feature Gina’s Adoption for WQED; The Case of Missing Human Potential, a one-hour documentary on gender equity in math and science education produced for the Ohio Public Television Network; Beyond Convention and Pittsburgh’s Living Room, a series of documentaries profiling the architecture of Pittsburgh’s David L. Lawrence Convention Center; and Living with Grief, a two-hour statewide special hosted by Cokie Roberts. Since January, 2000, Catanzarite has been a regular contributor to WQED’s local program series for which she earned a 2002 regional Emmy award in the Individual Achievement category for non-news writing. Additional credits for non-broadcast video production include a diverse list of clients, ranging from Lockheed Martin to PNC Bank and US Steel. Favorite projects include the video honoring the 2009 Military Spouse of the Year, which was played at a ceremony hosted by the wives of the Joint Chiefs of Staff; and a video for the non-profit community development initiative Pittsburgh Central Collaborative, which was played at an event attended by President Barack Obama. From 1991 – 1996, Catanzarite worked as a staff producer at WQED where she produced local programs and special projects. From 1989-1991, Catanzarite worked as a Field Producer on the nationally syndicated KDKA/Group W production Evening/PM Magazine; and prior to 1988, she worked as a Creative Services Producer at the Pittsburgh affiliate stations KDKA and WTAE. Catanzarite’s writing credits include co-authoring Lucille’s Car Care (Hyperion, 1996); and serving as contributing editor for the book Riding The AirWaves (Schano/Geyer Printing Company, 2006.) She reviews children’s programs and serves as a judge for the prestigious Parent’s Choice Foundation; and, Catanzarite also has a number of credits as a freelance writer, including The Pittsburgh Post-Gazette, The Pittsburgh Press, Pittsburgh Magazine, Pittsburgh Prospects; and on-line, at Moms.com, Eyes On The Prize, The Pittsburgh History Series; and for the Three Rivers Workforce Investment Board. From 1998 – 2001, she also co-wrote a bi-monthly column for the on-line Microsoft magazine UnderWire. She is an adjunct faculty member at both Point Park University and Robert Morris University in Pittsburgh, teaching broadcast journalism courses; and she has conducted summer workshops on media literacy for high school students as part of Point Park University’s Summer In The City program. She currently serves as a Program Director and Instructor for the Pittsburgh-based non-profit arts and education organization Luminari, where she teaches an original series of creative writing workshops for teens and also contributes curriculum to a unique summer camp that teaches diplomacy skills to young people. Catanzarite is a 1987 graduate of the University of Pittsburgh, with degrees in Non-Fiction Writing, Film Theory, and a certificate in American Sign Language for the Deaf. Catanzarite also is currently pursuing an advanced degree at Kent State University in the Masters for Journalism Educators program. 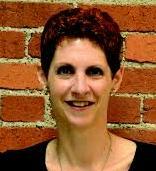 Magdeline (Maggie) Jensen has served as Chief Executive Officer of the YWCA Greater Pittsburgh since November 2007. The YWCA is a non-profit association with a mission to eliminate racism and empower women. Her selection by the YWCA’s Board of Directors to take on the YW’s CEO responsibilities is a tale of transferable management and leadership skills.